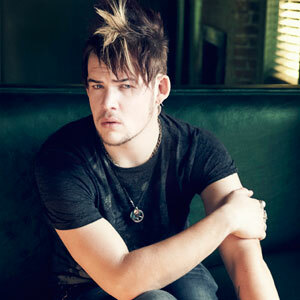 James Durbin Biography, Discography, Music News on 100 XR - The Net's #1 Rock Station!!! James Durbin was born on January 6, 1989 and raised in Santa Cruz, California USA. His father died of drug overdose when he was 9. Shortly thereafter he was diagnosed with Asperger's syndrome and Tourette's syndrome. Durbin musical journey started with a Metal band called Hollywood Scars but the singer became an overnight celebrity when he became one of the final four contestants on season 10 of American Idol. He co-wrote 5 of the 11 songs on the standard edition of his debut album, "Memories Of A Beautiful Disaster", which was relased in November 2011 on Wind-up Records; the disc hit #36 on The Billboard 200, while the album closer and stadium-worthy first Rock single, "Stand Up", managed to crack the Active Rock top 40 chart. 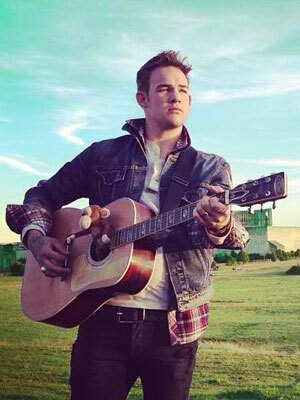 James Durbin has announced that "Celebrate" has been chosen as the official album title for his sophomore full-length disc, which will be released on April 8, 2014. It contains the single "Parachute".